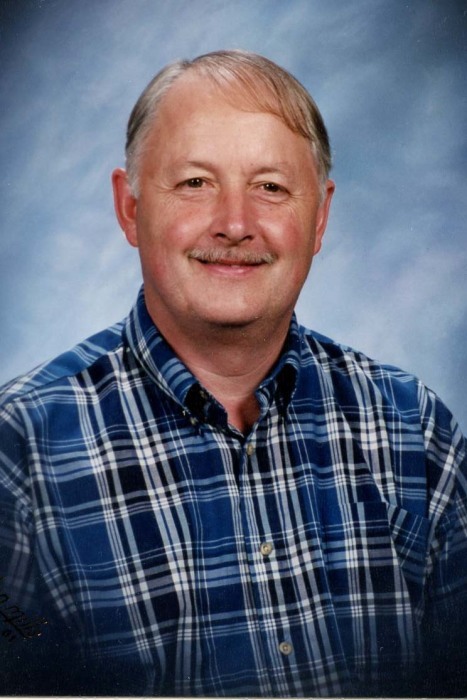 James Edward Grant, 71, of Reidsville, went to be with the Lord Thursday April 4, 2019 at his home . Funeral services will be conducted 2:00 P.M. Monday April 8, 2019 at Sharon Baptist Church. Burial will be in the church cemetery. The family will see friends 1:00 till 2:00 P.M. before the service at the church and at other times will be at the home of his son. A native of Augusta, GA, he was a son of the late Arthur and Dorothy Hayworth Grant and had lived most of his life in Rockingham County. Jim lived in Greensboro in his younger years where he was a graduate of Smith High School and Guilford College. He was a retired employee of Vanity Fair Corporation with 38 years of service. A US Navy Veteran he was a member of Sharon Baptist Church. Jim enjoyed fishing, gardening, and working in his yard. An avid reader, he was preceded in death by an infant son: Mark Stephens Grant, and a brother: Stan. Survivors include his wife of 43 years: Pamela Miller Grant of the home, son: Robert “Robbie” Grant (Jamie) of Reidsville, grandchildren: Logan Grant, and Emma Drew Grant, sister: Jane McKinney (Charles) of Greensboro, and mother-in-law: Billie Jean Miller of Reidsville. Memorials may be sent to: Hospice of Rockingham County P.O. Box 281 Wentworth, NC 27375. Citty Funeral Home is assisting the Grant family. Online condolences may be sent to: www.cittyfh.com.